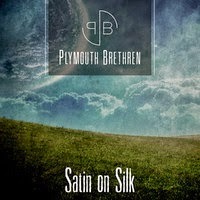 In anticipation of a forthcoming EP, Plymouth Brethren's upcoming new release which will see release on is Angel Recordings in mid-June, we have the the lead track "Satin on Silk". Working with producer Greg Fitzgerald (Madonna, Kylie, Jessica Simpson) and blessed with a splashy lead singer by the name of James, Plymouth Brethren, a modern day rock band which (as it is) hails from the other side of the pound and has seen support from the likes of BBC 6 Music, brought to mind visions of classic Midnight Oil and current Cowboy Mouth. The only thing is neither of those two acts (or their influential spirits) does justice when it boils down to it. Considering the smooth delivery this band has with a track like "Satin on Silk" it will be more then a little bit interesting to see what they can do with an expanded release. That mystery will be solved on June 16th (the reported due date of the group's debut EP), but for now you can check out "Satin on Silk" for yourself right here: https://soundcloud.com/plymouthbrethrenband/satin-on-silk.